Meet our team of logistics professionals who specialize in all matters related to distribution, warehousing and transportation in Canada. John McKenna has been in management of McKenna Logistics Centres since 1988 and the third generation owner since 1993. In 2002, John earned his Masters in Business Administration from Richard Ivey School of Business. Presently, John is on the Board of Directors of the International Warehouse Logistics Association and involved in many local community organizations. With over 30 years of experience in the warehouse and transportation industry, Jim is an integral asset to our McKenna team. Jim started out in the food industry as a warehouse coordinator for Pillsbury. From there he moved on to work for CP Express as an operations manager. Jim then executed the start up of an LTL company and then moved into their warehouse and logistics operation - managing a 250,000 square foot building in Delta that later became Schenker. From there, Jim transferred to do a start up in Ontario of a 75,000 square foot building for Schenker and then transferred to Calgary, to do a start up of a single client facility for Dare Foods. Jim has been running the Western Canada operation at McKenna Logistics facility for the past 6+ years. As you can see, Jim’s extensive experience and background make him uniquely qualified to serve your every logistics need. Should you have any questions, feel free to give Jim a call. Steve Rathwell has over 38 years of experience in manufacturing and logistics including 30 years in leadership roles with major logistics companies. Steve’s areas of focus are situational leadership, mentoring leaders, cost savings and problem solving. Over the years, Steve has transitioned and managed startups with numerous food and consumer goods accounts. 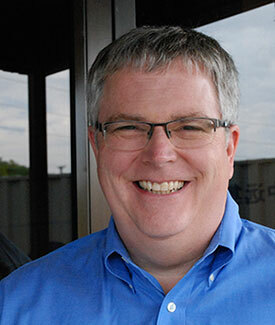 Steve has maintained excellent quality and safety records while building efficient teams to handle supply chain changes. He brings innovative ideas and solutions to drive cost savings and customer satisfaction. Steve’s vast experience in third party logistics makes him the ideal leader for McKenna Logistics Centres, and a strong partner for our customers. Please feel free to contact Steve to discuss how McKenna can help grow your business in Canada. Feel free to contact us directly or fill out our needs analysis form and we’ll be in touch shortly. We look forward to helping you with your unique Canadian logistics needs.